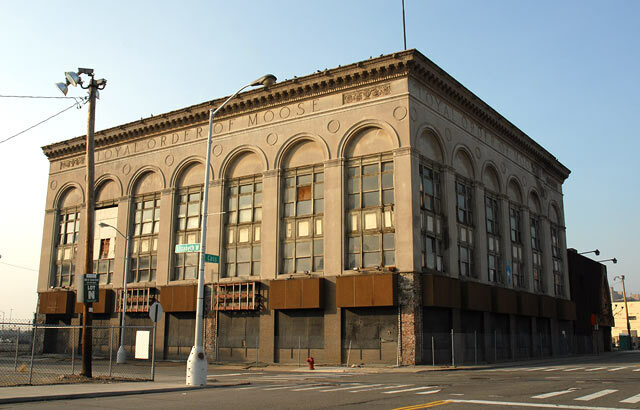 The elegant Loyal Order of Moose building at the corner of Cass and Elizabeth has sat abandoned for decades. 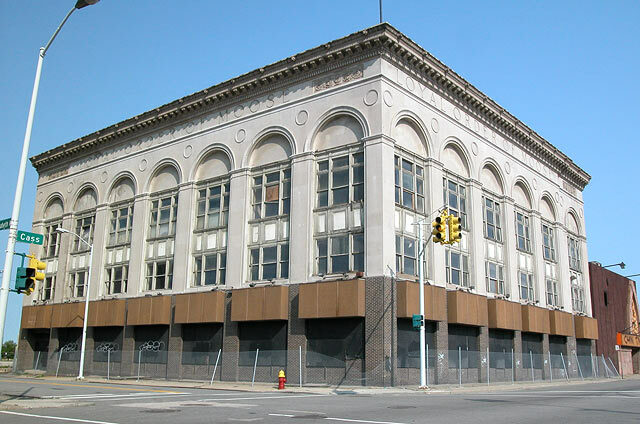 Interest is now stirring in this property as rise of downtown Detroit continues. To the right can be seen the ruins of the once famous Chin Tiki Restaurant. Little has changed in in this 2007 view [the above view is from 2003] but one can see that brick strippers have removed some of the bricks on the first floor facade - a facade that was added at some time in an attempt to 'modernize' the structure.